When you install MS Outlook (English language version), the inbox repair tool Scanpst.exe is automatically installed with the package. The inbox repair tool is designed to repair the Outlook personal folder .PST file. Whenever you have the requirement to use the tool, you have to locate the Scanpst.exe file through Windows Explorer and execute the program. Outlook uses the Personal Folders file for all major Outlook features including email, contacts, calendar and tasks. Every now and then it gets corrupted or damaged which disturbs the normal operations of MS Outlook. Microsoft has designed the PST Repair Tool (See the video on this page to locate repair tool) to repair severely corrupted and damaged Personal Folders files. The algorithm developed for this software tool fixes the damaged files using following steps. Inbox Repair tool examines your PST file, directory structure and item headers in order to recover all folders and items. Inbox Repair tool creates a backup copy of your Personal Folder (.PST) file before starting the repair process. Note: You MUST exit MS Outlook program before executing the Inbox Repair process. 1. Determine the location of your Inbox Repair tool as mentioned above and execute the Scanpst.exe file. 3. Click on the Options button and specify the scan log options. 4. Click the Start button . Note: PST scan process sometimes takes a long time to finish depending upon the size of PST and level of corruption. 5. After the scan, the tool displays the analysis report and recoverable errors in your PST file. 6. Select Repair to fix these errors. You will get the "Repair Complete" prompt after the successful repair of the Personal Folder (.PST). In case of unsuccessful recovery you will have to use a backup of your PST file. Repair process also creates a backup file; you can change the default name and location of the backup file by entering new name in Enter name of backup file field or select Browse to choose a different file. 1. Start Outlook program using the profile which you were trying for repair. 3. You will see a folder called Recovered Personal Folders including a set of basic sub folders such as Inbox, Sent, Draft or a folder called Lost and Found. You should have all your items in Lost and Found folder, the items that are missing in this folder were not repaired and are actually lost. 4. If you find any important email data in your Lost and Found under the Recovered Personal Folders, you can generate a new PST file and simply drag your recovered messages into the newly generated folder. 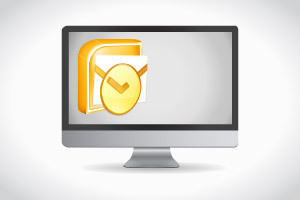 When the copy process finishes and all recovered email items are successfully copied, you can delete the Recovered Personal Folders from your current email profile. Note: Sometimes the scanpst.exe applies a slightly different repair procedure and it neither creates the Recovered Personal Folders nor Lost and Found folder. Instead of these folders it places all the recovered messages and folders in the original Outlook profile. In this case you just have to check all the folders to make sure the repair was successful. Note: If Inbox Repair Tool (Scanpst.exe) was unable to repair your PST file, you should try a more robust third party repair utility like Stellar Phoenix PST.